"I can offer you, like, more magic than any mushroom ever picked." The Orchard has unveiled an official trailer for an indie drama titled The Party's Just Beginning, the feature directorial debut of Scottish actor-filmmaker Karen Gillan, who wrote the screenplay as well. This first premiered at the Glasgow and Tribeca Film Festivals earlier this year, and will be available to watch this fall. The Party's Just Beginning also stars Gillan as a woman named Liusaidh, who's struggling to deal with stress and all the feelings after her friend takes his own life. It's a powerful, darkly comedic film about loss, grief, and survivor's guilt. The cast includes Lee Pace, Matthew Beard, Paul Higgins, Rachel Jackson, Siobhan Redmond, Jamie Quinn, and Lesley Harcourt. This seems a bit wild & crazy but actually looks like an impressive debut. A surreal coming of age story told from the perspective of a young Scottish woman (Karen Gillan) trying to cope with the suicide of her best friend and struggling to confront what's truly haunting her. 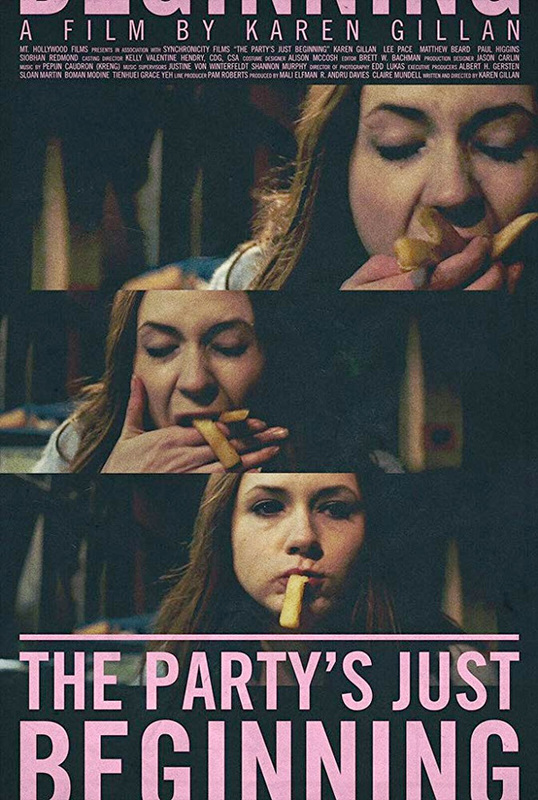 The Party's Just Beginning is both written & directed by Scottish actor / filmmaker Karen Gillan, marking her feature directorial debut with this film after first directing a segment in the Fun Size Horror: Volume Two anthology feature. Produced by Mali Elfman and Claire Mundell; originally made with the title Tupperware Party. This premiered at the Glasgow Film Festival earlier this year, and it also played at the Tribeca and Philadelphia Film Festivals. The Orchard will open Gillan's The Party's Just Beginning in select US theaters starting December 7th this fall, then on VOD starting December 11th. Who's interested in watching this?